Nexter Systems developed the new Aravis family of multipurpose heavily protected armoured vehicles, first shown at Eurosatory, Paris, in June 2008. The Aravis vehicle provides high levels of protection against threats from ballistic, mine, artillery burst and improvised explosive devices. Aravis can be fitted with a battle management system and a remotely controlled weapon system. 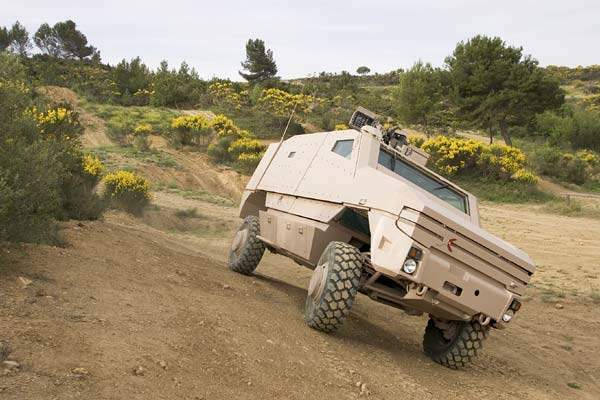 The new Aravis family of multipurpose heavily protected armoured vehicles has been developed by Nexter Systems, who first revealed the vehicle at the Eurosatory show in Paris in June 2008. 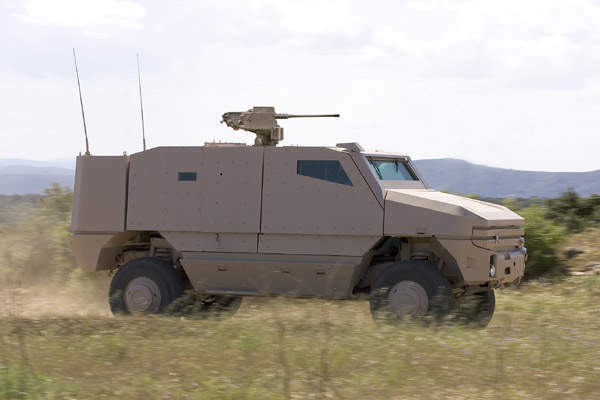 Nexter developed the Aravis as the most protected vehicle in its category, the current generation of protected carriers in service no longer being capable of defeating the increasing threats from improvised explosive devices (IEDs), mines and high power kinetic projectiles. Nexter Systems is part of the Nexter Group which was created in 2006 and is fully owned by Giat Industries. Nexter Systems specialises in battle management systems, armour, artillery and infantry systems and has development and manufacturing facilities at Satory, Bourges and Roanne. "Nexter Systems is part of the Nexter Group which was created in 2006 and is fully owned by Giat Industries." In April 2009, France’s procurement agency, Délégation Générale pour l’Armement (DGA), placed an order with Nexter for 15 Aravis armoured vehicles. The order forms part of its €2.4bn economy stimulation plan. The 15 highly protected vehicles are used by the French Army for reconnaissance assignments on potentially mined routes. Aravis is deployed to the engineers unit, which escorts Buffalo and Souvim vehicles specialising in improvised explosive device (IED) prevention tasks in Afghanistan. The first four Aravis vehicles were delivered to the DGA in January 2010. Training has been provided to users and personnel in charge of running and maintaining the vehicle. As of March 2012, 14 armoured vehicles are in service. Aravis was selected for the tactical armoured patrol vehicle (TAPV) programme of the Canadian Army in November 2009, but Nexter was away from the bidding process. Saudi Arabia placed a firm order for 73 Aravis armoured vehicles at the end of 2011. Nexter refers to the Aravis 4-4-4-4 protection in reference to the STANAG (Nato standardisation agreement) level four protection standards for ballistic, mine, artillery burst and improvised explosive device protection. 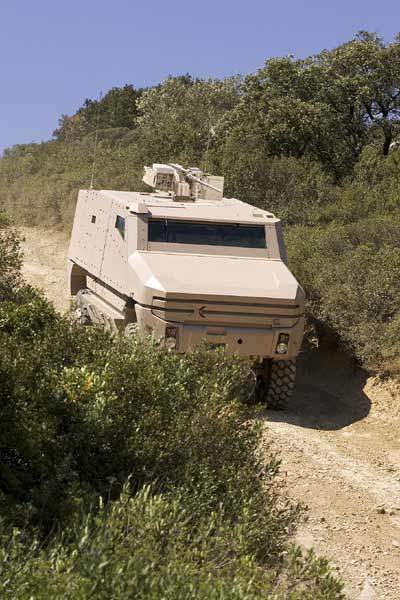 The company has patented its Safepro armour technology that is used in the Aravis vehicle. The vehicle configuration includes mine blast absorption modules and anti fragmentation windows. For ballistic protection and artillery burst protection, the Aravis features the Safepro crew citadel with spall liner and modular appliqué armour, which provides ballistic protection exceeding STANAG 4569 level four. Protection against mines is provided by the Safepro crew citadel, V-shaped anti-mine plate, mineblast absorption modules and energy absorption seats, giving mine protection exceeding STANAG 4569 Level 4A/4B. Aravis has been successfully tested to withstand ‘heavy IED attack’, with the detonation of 50kg TNT at a distance of 5m, which might become the Nato STANAG level four protection against improvised explosive devices. The IED-protection features built into the Aravis are anti-blast and anti-fragmentation side walls and anti-blast doors. The doors withstood the 50kg TNT blast trials without malfunction. The Aravis is based on an off-the-shelf Unimog U5000 chassis. The vehicle is air conditioned and provides a usable volume of 9.5m² for up to eight equipped troops, including 8m³ of fully protected space for up to six fully equipped troops. The Aravis can be delivered as a multipurpose vehicle, a battlefield command post and as an ambulance variant. The vehicle can be fitted with the battle management system to the customer’s specification – for example the SIR (system d’information régimentaire) used by the French Army, the Nexter Finders C2, Nexter SIT-V1 or the General Dynamics Bowman. The crew has 360° direct and video field of view. The Aravis can be armed with remotely controlled weapon systems, which allow troops to complete missions inside the protection of the vehicle rather than being partly exposed to hostile fire while manning a turret. "In April 2009, France’s procurement agency, Délégation Générale pour l’Armement (DGA), placed an order with Nexter for 15 Aravis armoured vehicles." At the Eurosatory show in 2008 the vehicle was displayed with a Selex 12.7mm machine gun mount. Nexter has completed development of the ARX 20 land remote control weapon station which can be fitted to any armoured personnel carrier of size 4×4 upwards. The weapon operator stays under full armour protection and uses a joystick control and video screen to operate the weapon. The ARX 20 is compact, lightweight (270kg) and particularly designed for urban warfare operations. The 20mm M621 cannon is the main armament and has a traverse of 360°, elevation to 60° and a range up to 2km. The system is fitted with a gyro-stabilised mount for on-the-move capability, two day cameras and a night camera for day and night operation. Optional fits include smoke obscurant dischargers and a 7.62mm machine gun with standard ammunition stowage of 100 rounds. To counter sniper attacks, the ARX 20 can be integrated with the Pilar small-arms and sniper location system supplied by the company 0.1dB-Metravib based in France. The vehicle is powered by a Mercedes-Benz OM 924, 218hp, four-cylinder diesel engine with an automatic shift gear box. The vehicle can carry up to eight people and has been ergonomically designed for crew comfort, with a large internal volume, low noise and vibration levels and air-conditioning. The four-wheel drive gives a high standard of cross country and urban manoeuvring capability. The vehicle can ford water up to a depth of one metre without preparation. Obstacle clearance includes steps up to 50cm, ramps up to 50% and side slopes to 30%. The drive can be configured to 4×2 operation for high efficiency on-road driving, with speeds up to 100km/h and an unrefueled range of 750km. The vehicle uses Michelin 365/80R 20 152 K tyres with run-flat devices and a central tyre inflation system. The Aravis vehicle is transportable by road and rail and is air transportable by C130, A400M and C17 aircraft.